The buggy path now cuts between the blue and white tee. This will prevent golfers from heading the wrong direction towards the 1st Tee. Tees have been aligned to the centre of the fairway and fairway bunkers are also made more prominent. The fairway has been reshaped to provide a more defined preferred landing area. 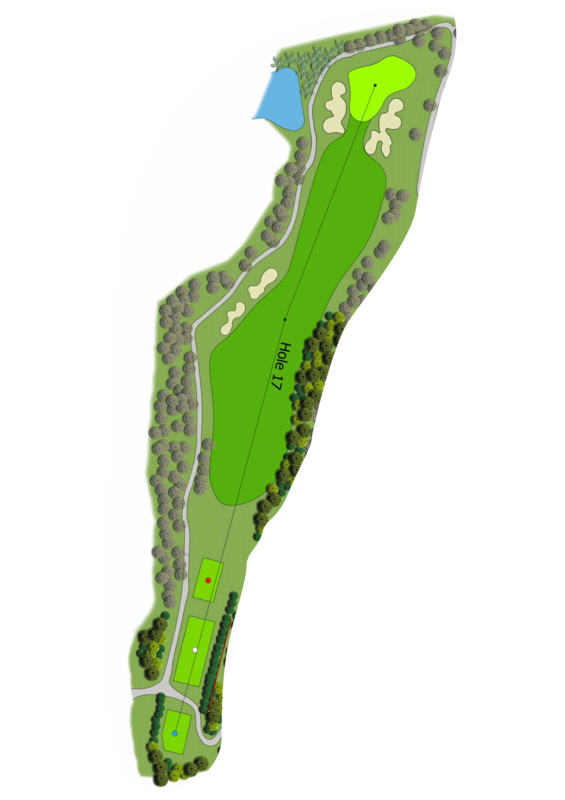 Beyond that location, the fairway is thus steeper, making the shorter approach more complex. This green is the most undulating on the 10th Tee. Numerous pin positions are provided and, to each, a long approach putt can rarely be straight. In fact, it may borrow to the left and right on the track towards the hole. A new pond has been constructed on the far left of the green. This primarily created for visual enhancement on adjoining holes and to aid in overall drainage of the surrounding area. It will not be a hazard to the golfers.